New to our store for RSVP! So many of our customers were disappointed that we did not offer a lanyard for RSVP we decided to take action. 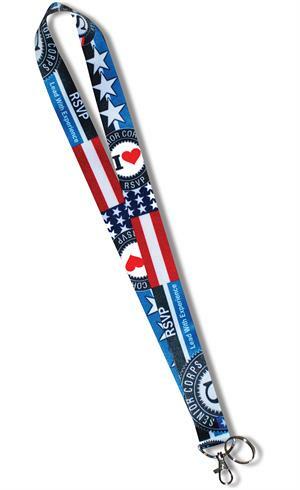 A keychain lanyard customized to RSVP! The key chain will allow you to quickly remove keys, badges, etc and reattach them with ease! !